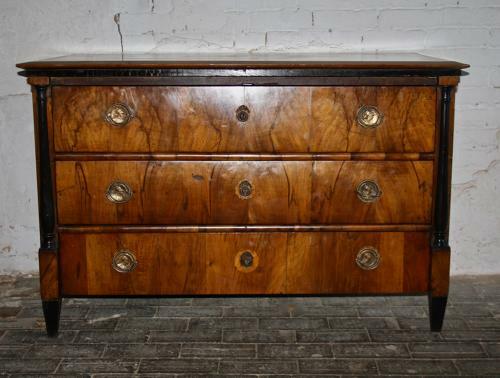 Walnut veneer 19th century chest of three drawers. Later escutcheons and handles. In good condition.